On December 16th 1965, a musical instrument was played in outer space for the first time - the HOHNER Little Lady. As this event demonstrates, HOHNER harmonicas are played literally everywhere. Be part of this world and enjoy music - everywhere. 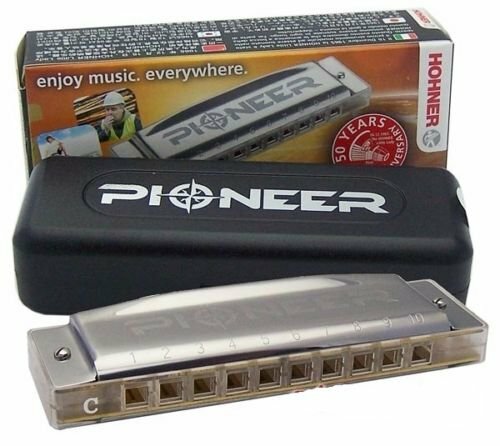 The Hohner Pioneer was made to commemorate the Pioneering spirit that sent brave men and women to choose an unknown path and to launch a Pioneering new direction in harmonica design. Innovative and great looking clear ABS Reed Plate surface, Mouthpiece & Comb.